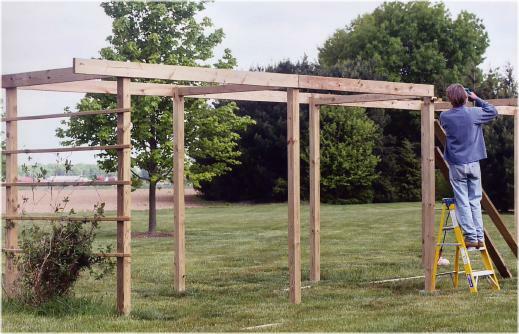 Robijn is building a trellis in the backyard. 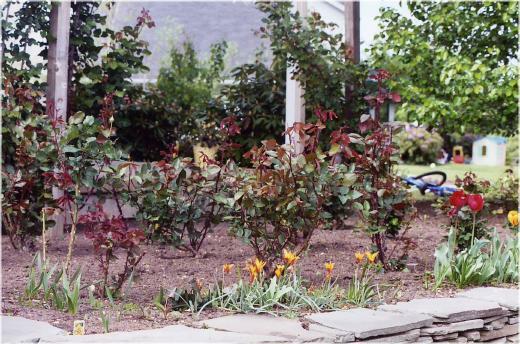 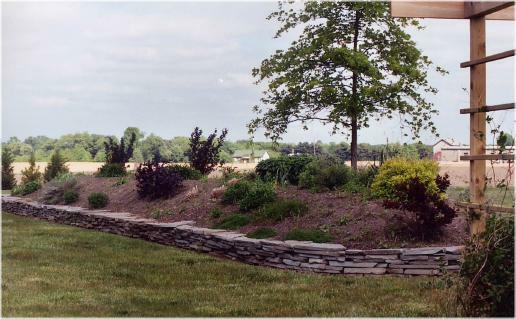 When it's finished we will plant antique climbing roses on both sides. 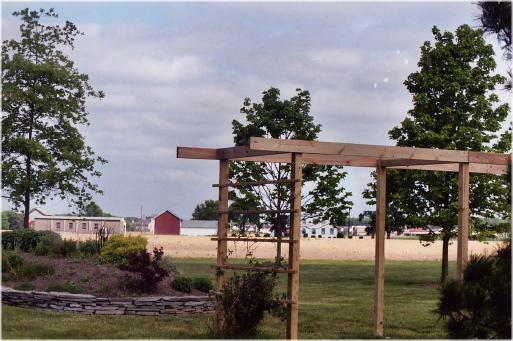 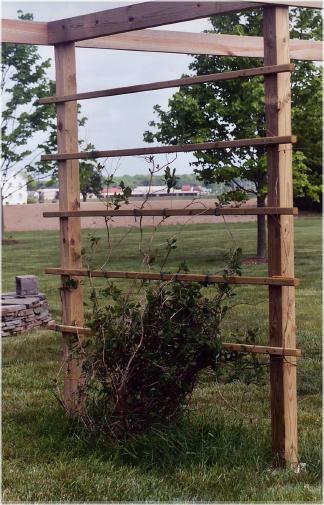 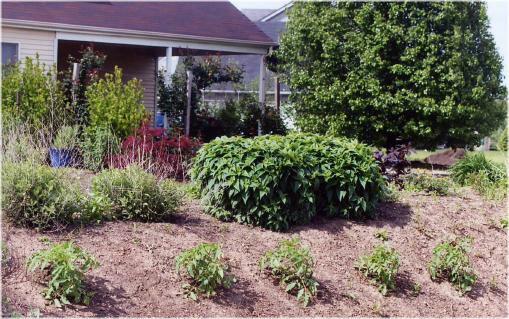 View of closed side of the trellis with honeysuckle bush.